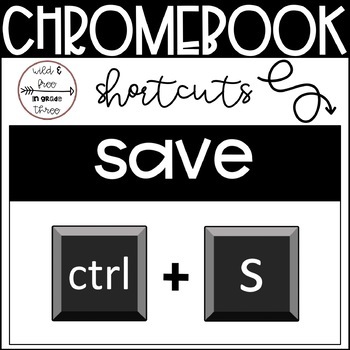 Hang these half-page posters around your classroom to help students learn useful Chromebook shortcuts! 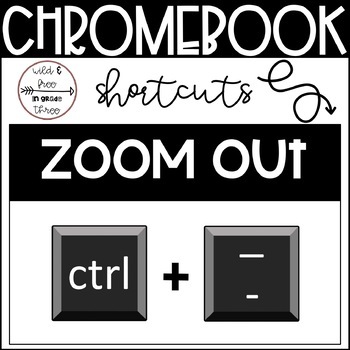 Some shortcuts can be difficult to remember. 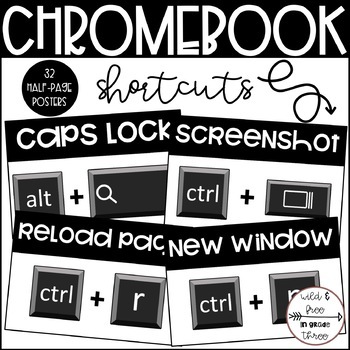 You and your students can quickly refer to these 32 half-page posters to learn the most useful Chromebook keyboard shortcuts! Check out these posters in COLOR! May the days of a student saying, "My screen rotated and I can't fix it!" be over! There's a shortcut for that! 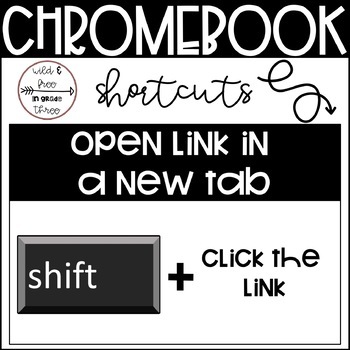 Are you using this resource in your classroom? Take a picture and tag me on Instagram (@wildandfreeingradethree) so I can see! 50% off new items for the first 24 hours! Click the green follow star next to my store logo to be alerted of these deals! Follow me to join my professional learning network! Don't forget to provide feedback on your purchases to receive TPT credit to use towards future purchases! Feedback is also helpful in letting the seller know what you love and want more of! Thanks in advance! For more from Isabelle O'Kane, visit her TPT store!